Who doesn’t love a good Chicken Pot Pie? 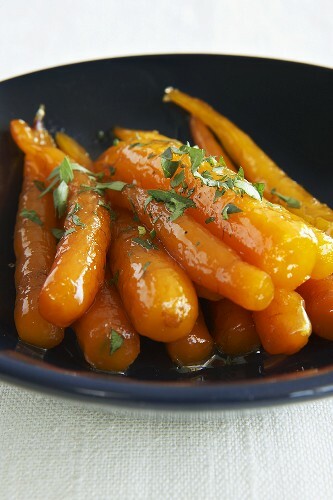 This recipe incorporates a variety of root vegetables. Butter 4 ramekins or soufflé dishes. Put chicken breasts in heavy large pot and add enough stock to cover chicken. Bring to boil and reduce heat to a simmer. Cover pot and slowly cook until chicken is cooked through. Skim surface occasionally, about 20 minutes. Transfer chicken to plate and cool. Add carrots and turnips to pot with chicken. Simmer uncovered until vegetables are fork tender, about 8-10 minutes. Transfer vegetables to a bowl. Add collard greens to stock and cook just until wilted. Using slotted spoon, transfer greens to colander; drain well. Place vegetables in a large mixing bowl. Add the peas and mix well. Strain stick and reserve 2 1/2 cups. Remove skin and bones from chicken. Cut meat into bite sized pieces. Add chicken to the bowl with the vegetables. Spoon the chicken and vegetable mixture into the buttered ramekins. Place on a sheet pan and heat in the oven for 8-10 minutes until warm. 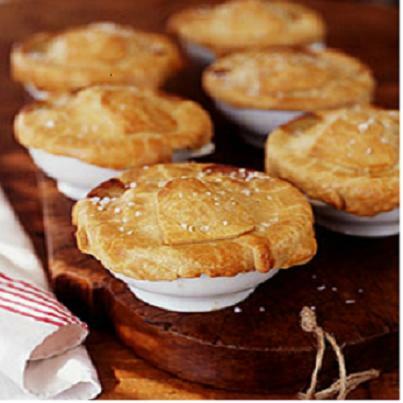 Defrost the puff pastry crust and using a paring knife or pizza cutter, cut circles that will fit the top of the ramekins. Follow the instructions on the package to bake the puff pastry until golden brown. To serve place a piece of puff pastry on each ramekin. Enjoy!